Mr. Potts is a founding partner of Lindsay Kenney LLP. A former Managing Partner and former Head of the General Litigation Group, he is the firm’s most senior and experienced litigator with considerable trial and appellate experience. He has appeared at all levels of Court, including the British Columbia Court of Appeal and the Supreme Court of Canada. 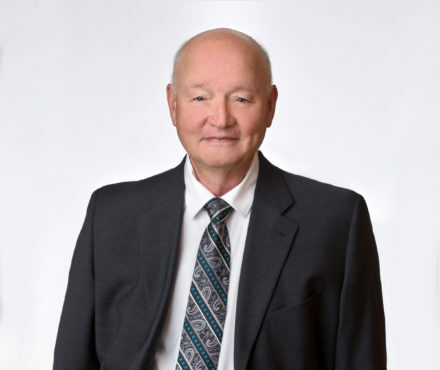 After 40 years of full time legal practice and 38 years as a partner at Lindsay Kenney LLP, Mr. Potts retired from the Lindsay Kenney partnership in December of 2018. He remains at the firm as Associate Counsel and continues to provide legal services on more complex litigation matters. With the benefit of his many years of experience, he provides advice and assistance to the firm’s litigators. As a general litigator and respected fraud lawyer, Mr. Potts has handled leading cases in a number of areas, including corporate and commercial law, shareholder’s disputes, internal and external fraud, and regulatory matters. He is particularly known for his strength in handling multi-party complex litigation matters. Mr. Potts was born in Calgary, Alberta and obtained a Bachelor of Arts in 1974 from Simon Fraser University and a Bachelor of Laws in 1977 from the University of British Columbia. He was admitted to the British Columbia Bar in 1978. 2008 07 09 BCSC 935 ICBC v. Eurosport Auto Co. Ltd.
2007 05 11 BCCA 279 ICBC v. Eurosport Auto Co.
2004 12 17 BCSC 1776 W.G.H. v. I.W.V.N. 2002 11 01 BCPC 0472 The Director v. D.L. 2002 05 31 BCPC 0190 DCFCS v. D.L. 2000 05 31 BCSC 831 Taylor Ventures Ltd. v. 442931 BC Ltd.
2000 05 31 BCSC 830 Taylor Ventures Ltd. v. 545959 BC Ltd.
1999 06 11 BCSC Westshore Terminals Ltd. v. Sandwell Inc.
1999 05 03 BCSC CanLII 15191 (BCSC) R. v. T.K. 1997 11 27 BCSC R.W.S. v. A.T.W. 1997 03 12 BCPC 0001 CFCSA and R.S. 1996 11 07 BCSC 2432 DCFCS v. B.S. 1996 08 08 BCSC CanLII 8460 DCFCS v. J.C. and C.C. 1996 01 10 BCSC Century 21 Gold Team v. 443979 BC Ltd.
1991 12 06 BCSC Kennedy v. Gescan Ltd.
1994 02 24 BCSC Isaac Holdings v. Sun Alliance Insurance Co.
1994 01 17 BCSC Isaac Holdings v. Sun Alliance Insurance Co.
1993 01 28 BCCA Westar Mining Ltd.
1992 12 04 BCCA Westar Mining Ltd.
1992 01 13 BCSC Merit Kitchens Ltd. v. Winmark Holdings Ltd.
1991 12 09 BCSC Kennedy v. Gescan Ltd.